Metal doors are normally used on the exterior of a home. They consist of a metal exterior cladding with an insulating material filling the interior of the door slab. Metal doors are available in many standard opening widths and heights, and are also available in double door configurations for additional accessibility, if needed. Metal doors are not as prone to being affected by temperature and climate changes as doors constructed of other materials may be, and with minimal care they can last for many years. Metal doors are also available with a fire rating if your use requires one, such as a door from your garage into your living area. 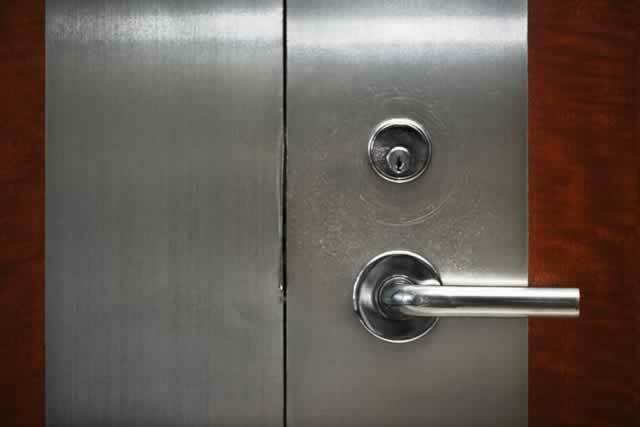 Metal doors normally come with a single bore for a lockset, but are also available with a double bore if you wish to add a deadbolt for additional security.